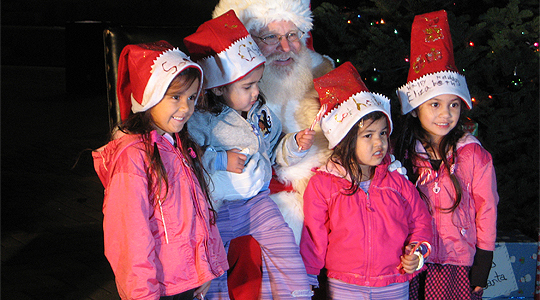 There will be live entertainment, complimentary hot chocolate and holiday cookies, and a tree lighting ceremony. Santa and Mrs. Claus will also be there. Children will be able to visit with Santa after the ceremony. Don’t forget your camera!